120mm Radiator. 240mm Radiator. Liquid Cool CPU Block. 24 Pin Jumper. Tap out the instructions marked. Power Connector: Small 3P connector. Water tank capacity: 150ml. Small 3P power connector can be directly plugged into the headboard fan original position. 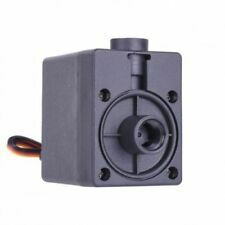 1pcs ultra-quiet Water pump. Corsair Hydro Series H80i V2 240 Mm Extreme Performance Liquid Cooler. Corsair Hydro Series H80i V2 240 Mm Extreme Performance Liquid Cooler. Condition is Used. Have been using this on an i7 for the last 3 years. No problems with it. It’s in perfect condition apart from a little dust. Comes with two Corsair fans. 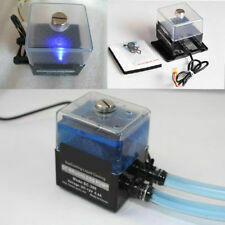 Has a MB cable to connect the pump to a USB header so you can control the LED lighting on the pump. Please note that some of the screws that hold the fans to the radiator and the whole unit to the computer case are missing. I’ll do my best to find them but can’t guarantee it. Dispatched with Royal Mail 1st Class. EK-DBAY D5 PWM (incl. pump) is high-performance hydraulically improved pump top (volute) for D5 PWM series water pump with integrated reservoir in a two-slot 5.25" drive bay form factor. Condition is New. Corsair Hydro H115i Pro RGB AIO. 2x Corsair Cooling fans. AMD Bracket. Screws & washers as seen on pictures. Lot of Barrow Watercooling Fittings for sale. Used for about 8 months with EK Cryofuel Clear coolant. Following fittings included in this lot 8x 90 Degree Rorary Adapters. 1x Temperature Sensor. Red dust cover, protect the water cooling radiator heatsink. - 2.5cm/1" thickness, it is thiner than aluminum material heatsink. - Copper material, better heat dissipation. Material: Copper. -The color of the item may vary slightly due to photography and different PC monitor. 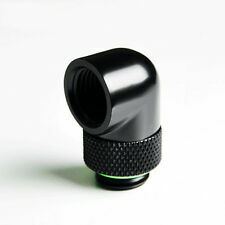 G1/4 coupling fitting for OD 14mm Rigid tubing water cooling. Fits for 14mm OD rigid tubing. 1 G1/4 Coupling Fitting. High performance and durable. Color:Black(As Pictures Show). Notes: The real color of the item may be slightly different from the pictures shown on website caused by many factors such as brightness of your monitor and light brightness. Attaches to the bottom of the reservoir. Centrifugal water cooling pump for a PC. 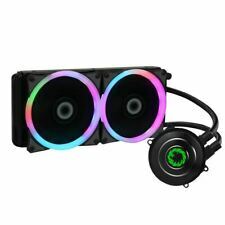 1 fan liquid CPU cooler. It is a much needed aesthetical and functional heatsink for many PC owners. Because the heatsink consists of a front and backplate as well, the compatibility is limited to M.2 (NGFF) connectors of 4.2mm height (as seen from examples). Internal flow channel extrusion forming. Processing: vacuum aluminum brazing. Note: Light shooting and different displays may cause the color of the item in the picture a little different from the real thing. It is made for the semiconductor refrigeration film, which can be made of heat dissipation, cold transfer, cold water formation and so on. Material: Aluminium. Interface: approx. Due to the different display and different light, the picture may not show the actual color of the item. EK-FC980 GTX water Block. Condition is Used. Dispatched with Royal Mail 1st Class. 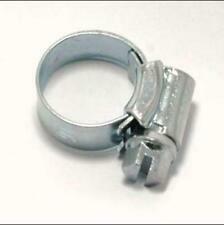 With silica gel seal ring, so effectively avoid leakage. It is an ideal joint in water cooling system. 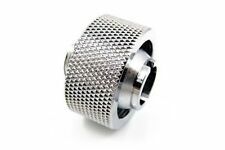 This fitting adapter is double outer thread design. Electroplating process, shiny and bright, roll lace design, beautiful appearance. PETG 10x14mm 500mm Water Cooling Rigid Tube Hard Horse Pipe for Water Cooling System. This PETG tube can be cut hot bending, and no bubble. Material: PETG. 1 x Water Cooling Rigid Tube. Color: Transparent. 1 Compression Fitting. If you do not receive our reply within 48 hours, pls. If you are satisfied with our service, pls. Color: Black. The color of the gasket is random. 1x 2M pipe. -The PVC pipe is for computer water cooling. -Color:Clear,Red,Blue,Green,White. Due to the difference between different monitors, the pictures may not reflect the actual color of the item. EK CoolStream SE 240 Slim Series Dual 120mm Fan Water Cooling Radiator. Condition is Used. Dispatched with Royal Mail Signed For® 2nd Class. This tube kit is consisted of 45 degrees, 90 degrees, and 180 degrees 3 different angles of bending tube dies. 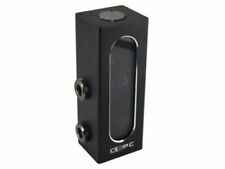 Compatibility: For 14MM Acrylic Tube. 180° Bending Tube Die : Approx. 45° Bending Tube Die : Approx. It can also be regulated through the motherboard. If the “Eisbaer” is being run alone, the 7V setting will still have next to no performance loss, as shown in diverse test results. Pump (Alphacool DC-LT 2600 Ultra low noise Ceramic). For a liquid cooler, enthusiasts not only looking for an easy and clean setup to efficiently calm the roaring CPU, more likely they also crave for the best low-maintenance solution. The Water 3.0 Series features the latest cooling performance technology from ThermalTake, with simple installation, and totally maintenance-free operation. Holiday notice: Please note that I am on holiday from 12/04 until 24/04 so any post will dispatched after 24/04. 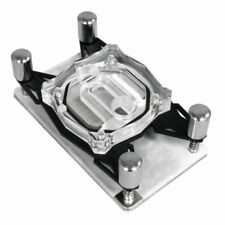 Gamemax ICEBERG 240 Water Cooling System 240mm For intel LGA 2011, 1366, 1150, 1151, 1155, 1156, 775 and AMD fm1 fm2 fm2 am2 am3 am4 Brand new in the boxes. Sealed. Next day dispatch. The Fusion Dual Bay features a solid CNC milled body with a fluorescent acrylic helical fixture for a unique visual effect. The internal helix is illuminated with the pre-installed UV cathode, which must be hooked up to a cathode inverter. 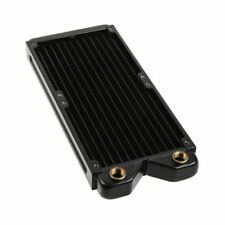 This 80mm water cooling radiator can help your device drop temperature. Actual size: length 105MM × wide 80MM × high 25MM. Suitable for computer CPU cooling, industrial frequency conversion driver, laser head cooling.